If your thing is to hunt you already know by now that no hunt is successful without some good hunting accessories. Manufacturers are always developing new hunting clothing, new hunting gear or garments as they see hunters have higher expectations. 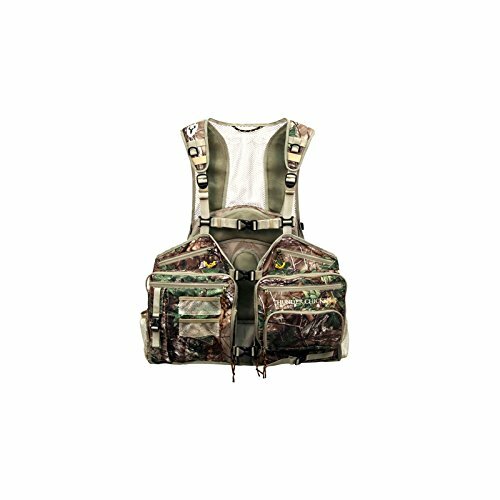 For instance, they know that a good hunting vest is not only breathable and waterproof, but it also has to be highly organizable. It should also have a Camo pattern so that it can hide you better into surroundings. A hunting suit would have to be flexible to give you freedom on the move but also highly resistant to the elements and therefore, long lasting. 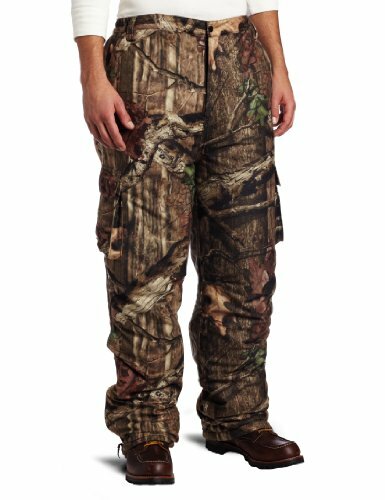 A good pair of hunting pants not only let you move freely, but are also reinforced in the high stress points for durability reasons. An upland tactical vest comes not only in orange (or at least half of it), but it also features many pockets to help you store the shells. As for a hunting chair, for instant, this has to be durable, easy to install and to carry around and sturdy on uneven surface. As you can see, there are many things for a manufacturer to consider when creating a hunting garment, but some manage to give the best products, and not only in one department. A great hunting manufacturer is Scent-Blocker which gives you great hunting clothing. 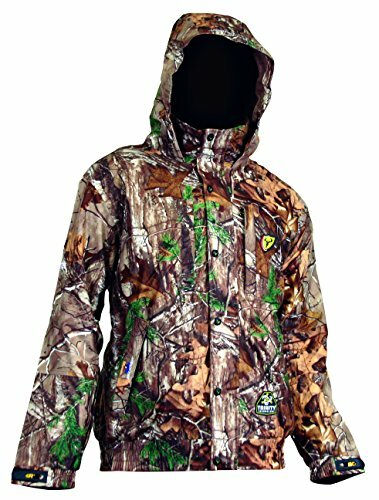 The hunting clothing of Scent-Blocker keeps your personal scent inside, comes in Real Tree Xtra or Mossy Oak Break Up Infinity pattern and is resistant to elements. The ScentBlocker Outfitter Hunting Jacket fits both women and men and is 100% waterproof. This breathable jacket comes with a zip-out wind blocker Sherpa fleece vest and many pockets for your items. The jacket is not bulky, features elastic cuffs and Velcro closure and is compatible with Spider harness. This jacket needs though improvement on the noise and design as the hood is not removable at the moment and there is no chin cover. But it’s still a great hunting jacket for the price. 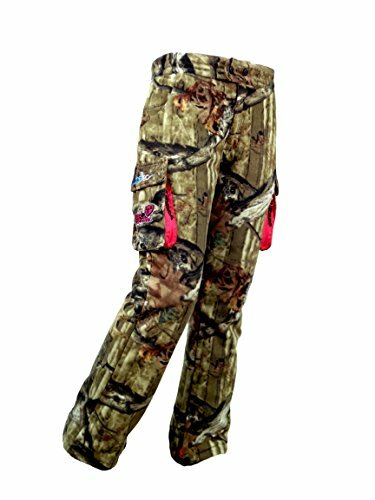 Another great hunting clothing from ScentBlocker is this pair of hunting pants ScentBlocker Sola Women’s WindTec Insulated Pant. Hunting clothing especially designed for women is not that easy to find, but ScentBlocker not only created something addressed only to women, but it’s also high quality. These pants are warm, feature an anti-pilling fleece and give a good fit thanks to the zipper fly and the partial elastic waist. These pants are windproof, have elastic ankle cuffs and keep you warm in the winter as they are insulated. You can under layer also these pants that have a high-waist design. They feature S3 Antimicrobial treatment so that no odor-causing bacteria would grow. There are many pockets for your small items and the pants are very quiet. They have no belt loops, need to provide more comfort in the crutch area and more protection against water. Still, they are still great hunting pants for women. Another great hunting clothing from ScentBlocker is this hunting vest Scentblocker Thunder Chicken Turkey Vest Realtree Xtra Green. This vest is comfortable, gives you 18 pockets for your calls and features a removable seat cushion with water-resistant bottom. The large pockets hold slate calls, box calls, strikers and the orange safety flag means security. The vest lightweight and there is comfort thanks to the shoulder straps, the upper back mesh panel and the back padding also. This is a well-designed vest which needs to be a bit quieter and more snug than it is at the moment. Another great manufacturer for hunting gear is 10x Men. This manufacturer creates good, reliable and long lasting hunting clothing and garments, at a very good price. 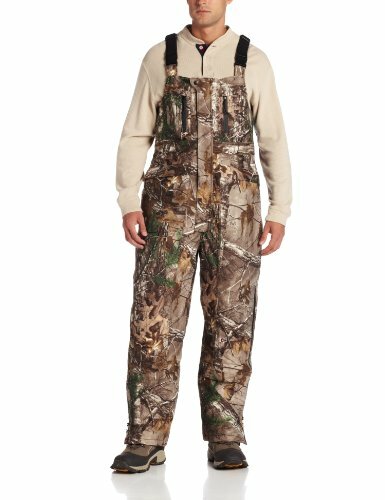 For instance, a good hunting bib is this 10x Men’s Realtree Extra Waterproof Breathable Insulated Bib Overall. This bib is both waterproof and breathable, features a sixth skin lamination and a Scentrex scent control lining. The seam seal construction means better isolation from the element, whereas the two-way front nylon zipper keeps the warmth and body scent inside. The pockets, the snap closure and the good fit make this bib a good choice anytime. It might be a bit too long for some, but it has too many great qualities to balance the length. 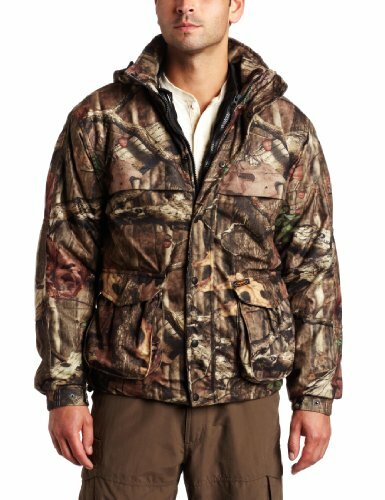 A great hunting clothing item is the 10X Men’s Insulated Waterproof-Breathable Hooded Parka. Breathable and machine washable, this is one waterproof parka that gives a perfect isolation thanks to the seam seal construction. The breathable polyester brushed tricot shell and the Scentrex scent control lining are some of the best features of this parka. Stylish with its black details, with concealed storm cuffs, this coat gives great freedom on the move and protection against the elements. You get many pockets to store your items and the price is amazing. It could use longer sleeves and the coat gets a bit bulky when you overlay. From 10xMen you can also go with this 10x Men’s Waterproof-Breathable Outer Systems Hooded Jacket. 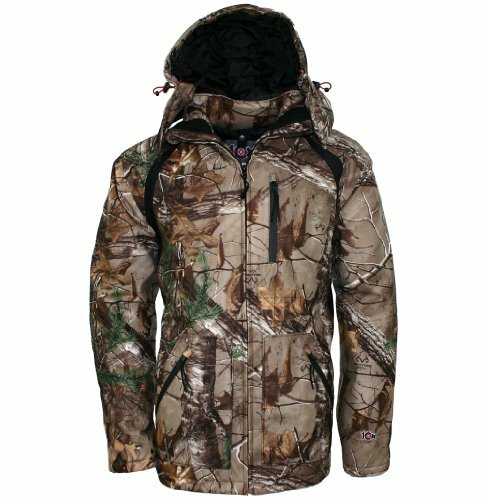 This jacket is made of waterproof and breathable polyester brushed tricot shell and the scent control lining keeps you safe when hunting. The jacket has a removable and adjustable hood and is comfortable, very quiet and comfortable. The nice looks, the heavy duty zippers, the efficient pattern make this lightweight hunting jacket a good option from 10xMen. The pockets are not waterproof and the jacket runs a bit small, but there are many other good things to compensate that. Yukon Gear is another great manufacturer that creates high quality hunting garments. The hunting clothing from Yukon protects you against elements, keeps you scent free while hunting, and hides you into the surroundings. An efficient hunting rain jacket is the Yukon Gear Men’s Mossy Oak 3N1 Insulated Parka Jacket. Waterproof, breathable and made of 240 Gram Brushed Poly Tricot, this jacket gives you plenty of pockets to store your items. There is a removable hood and the fabric is smooth and comfortable. This is a 3in 1 parka hunting jacket that serves you in many situations, in a very quiet way. It hides you into surroundings, it’s lightweight and keeps you warm. The hood protects you on a rainy, windy, snowy day, even though it’s not insulated. You can machine wash this and the liner is removable. At a very good price, you can get a good pair of hunting pants like the Yukon Gear Men’s Insulated Pants. These pants are breathable, waterproof and keep you very warm as they have 240 gram brushed poly tricot. The Mossy Oak Infinity camo pattern hides you into surroundings and the soft exterior is very quiet. The pants run true to size, feature many pockets and come with a matching jacket. It’s true they are a bit short and don’t go great in the hot summer, but for the money you pay you get a very efficient pair of hunting insulated pants. 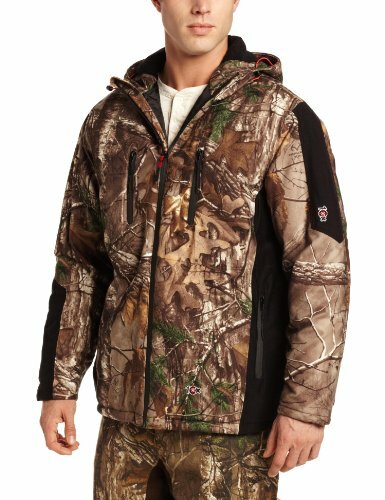 If you’ve become a Yukon fan already and want to get a good hunting jacket, this Yukon Gear Men’s Reversible Insulated Jacket is a good choice for the cold weather. This not only keeps you warm as it’s insulated, but it’s also waterproof and breathable. The jacket keeps the warmth inside since it has elastic wrist cuffs and gives a good fit thanks to the elastic waist. The dual side entry pockets with pocket flaps keep your items secure and the Mossy Oak Break-up pattern blends you into surroundings. 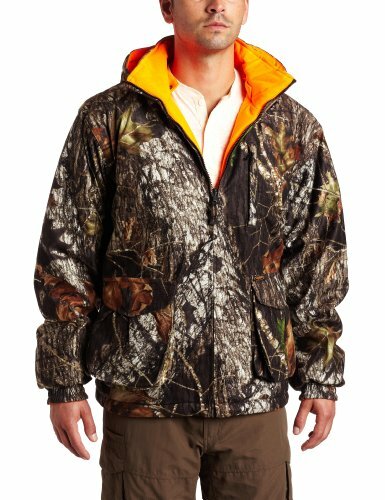 Another great feature of the jacket is that it switches between blaze orange to Mossy Oak Break-up pattern, which makes the jacket versatile. It runs a bit smaller though and it could use more insulation also.